Scriptures and quotes/excerpts from Charisma House authors about heaven and angels, combined with the beautiful artwork in this coloring book, will release your stress as you let go of the cares of this life and focus instead on the beauty that awaits you in eternity. Novice and experienced colorists alike will be able to reflect upon verses from the Modern English Version of the Bible as they color the richly detailed designs on every page. Scenes From Heaven Adult Coloring Book by Passio, was published by Passio in September 2016 and is our 47744th best seller. 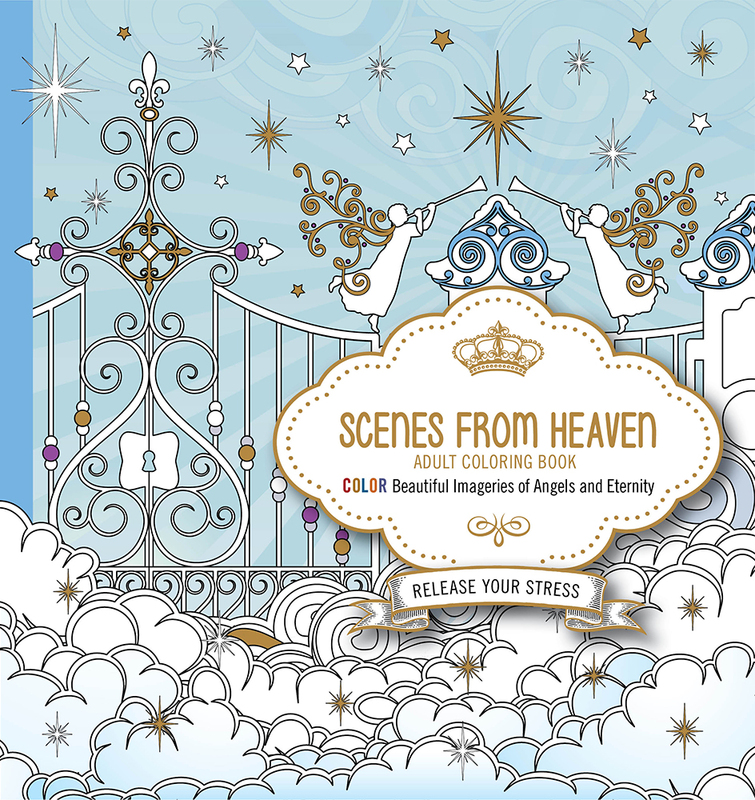 The ISBN for Scenes From Heaven Adult Coloring Book is 9781629987750. Be the first to review Scenes From Heaven Adult Coloring Book! Got a question? No problem! Just click here to ask us about Scenes From Heaven Adult Coloring Book.